"Collins get him on his feet. McBeardy what happened here? Where's the rest of the staff?" The snowfall had been heavy and lay all across the ice sheet making the dozen mercenaries of the Malamute Executive Response nervous. The grav-copter had dropped them off less than five minutes ago and then fled before the oncoming storm trapped it. As the team had made it way toward the buildings of the AH Station they had seen no sign of life. No sign of the fifty wage slave and corporate staff or the detachment of guards with them. What was going on? The company had hired them and flown them in. A lot of firepower for what might be a busted comms suite. "McBeardy. Can you hear me? Where's the staff? Why are you out here?" Collins had shouldered his M104 Auto-Rifle and had McBeardy by the shoulders. The scientist appeared to be barely concious and his clothes were torn, his feet bare. He would be dead from exposure if they did not get him inside soon. 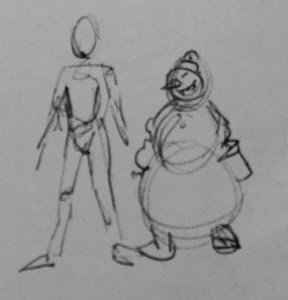 Sergeant Campbell was about to tell Collins to just drag McBeardy along with them when Collins screamed in terror and dropped the scientist to the ground. "Collins. What the hell are you doing? Get him up, right fu....."
Sergeant Campbell trailed off and instead he, along with the rest of the mercenaries, watched open mouthed as McBeardy convulsed and then began to change. His clothes burst and the ground around him was lashed by brown tendrils that dragged snow towards the scientist. With a howl of inhuman origin what was once McBeardy rose to its feet its body bulking up and changing white. In moments shapes took form upon the white body, a scarf, a hat and a wicked ice knife in gloved hands. McBeardy was gone as his face imploded and was replaced by what looked like for all the world two pieces of coal and a carrot. The snow made man for what was what is was turned on Collins and lunged at him arms outstreched. "Fire. Damn it, kill it. Fire!" Its the start of a month of festive season fun for 15mm.co.uk and as the little story above tells you its going to be a little mad too. We have a brand new page on the website which you should refer to as over the coming weeks we will have not only new releases like SN01 above but also limited time offers on existing codes too. We begin today and we end on 8th January and this is important if you like Snowmen in 15mm scale. Read on! 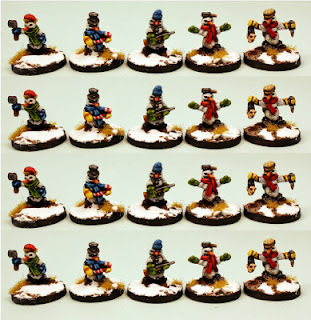 SN01 is our first code in what will be a yearly expanding range of festive themed miniatures. They will only be for sale during the festive period of the year (until 8th January 2014) and will then be placed in storage until winter 2014 when they will be joined by another pack with something else Christmas themed. Why have we made snowmen? 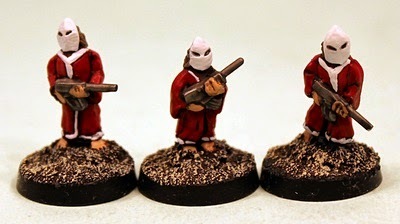 Same reason as most of our releases...wargamers asked for them! Enjoy! This code contains twenty 15mm scale white metal miniatures taken from five different poses. Our not so friendly snowmen suitable for any festive themed scenario or army. Each of them stands about 10mm tall and poses are hat with hatchet, top hat and candy cane, wool hat and rifle, saucepan and scarf, severed head and knife. Supplied Unpainted and without Bases. This bumper value pack saves you 10% off list price! You might well have read the story at the top of this article. Enjoyed it so far? Yes? Good stuff. Well this tale is just a small part of an upcoming free USEME Scenario which will be published here on the blog as a download in a couple of weeks. Keep watching for this. Current special offers are as follows. These will change on Monday next week so get in now. HOT94 Jabberwock (1 Monster) (White Metal Kit). V106 Law Officer Air Raft (1 Vehicle) (Resin and White Metal Kit). After looking at the TMP over the week I came across a topic posting called Juju Storm Assails Third Rate Smugglers and Their Cargo. I was quite taken with this great intro so I clicked on it and was surprised to see a Laserburn Hovervan amid a sandstorm (as below). I wanted to be sure, so I asked and Jay confirmed the sighting! Jay says his Hovervan is one of the original white metal ones but of course now all Laserburn vehicles are cast in high quality grey tone resin. 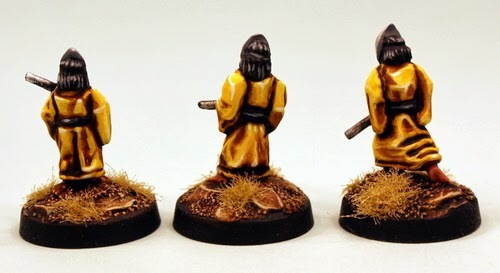 You can see them in the Laserburn pages of 15mm.co.uk. Have a look for yourselves. Jay must have put a lot of effort into these images and the excellent story that accompanies them. Imagination is key to wargaming especially in science fiction so applause from all of us here. Well done Jay! Today Bill, the editor of the mighty TMP (The Miniatures Page) announced two new message boards within the Fantasy section of the forums. This is an excellent move as the 15mm science fiction board is a very active one on TMP. Now 15mm and 28mm Fantasy players get the same chance at topics. I was so taken with this news I put an impromptu special offer up on the new 15mm board concerning the HOT94 Jabberwock sculpted by Sam Croes. You can read about it here. If you are thinking you might want to take up the offer...you can! Just follow the instructions. I expect I will be seeing a lot of this new board on TMP as the HOT and TTF ranges on 15mm.co.uk are very popular and we will be expanding both of them in 2014. 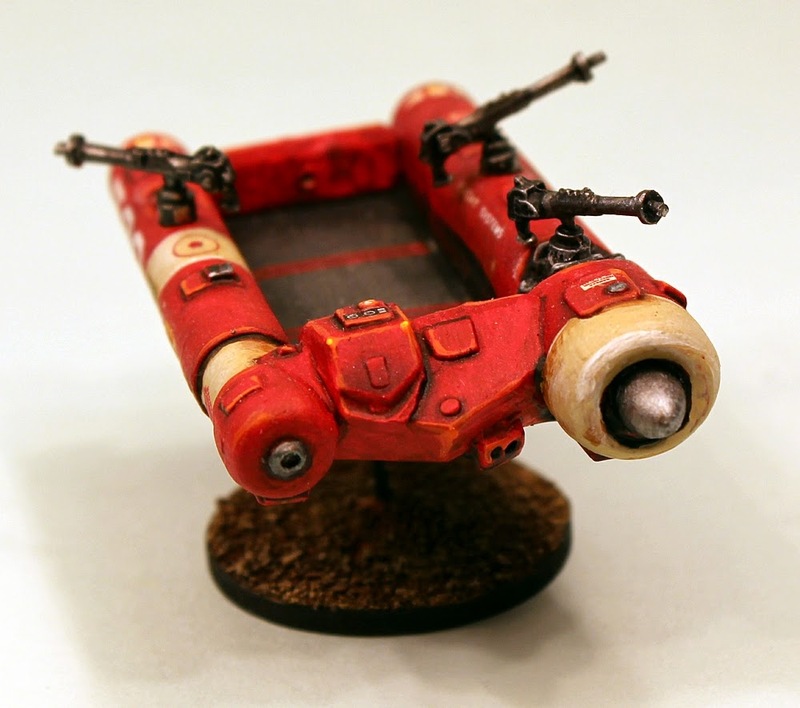 V106 Laserburn Law Officer Air Raft re-released! 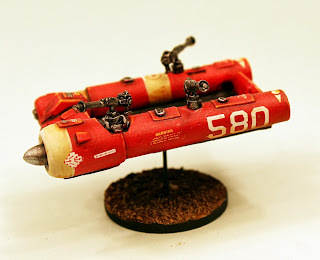 Its our first release on this brand new blog and oddly enough its a classic Laserburn vehicle saved from oblivion by a re-mastering and conversion to resin production. It joins the V101 Flit Car, V103 Hover Van, V010 Partizan Scout Car and V104 Hover Support Wagon on the 15mm.co.uk Laserburn section's vehicle page as of now. Visit the website to buy this and all other Laserburn products. 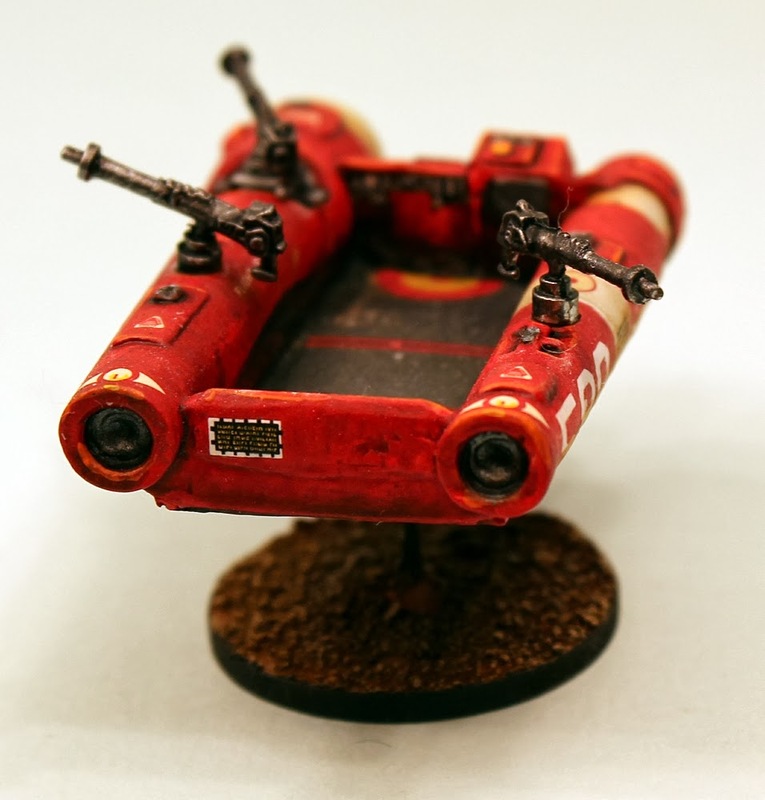 This example was painted by Sam Croes and it looks superb with added decals and base with flight stick. Below you can see a scaling image with an Imperial Trooper from the Laserburn range. Below that the release information. Law Enforcement anti-gravity platform perfect for any 15mm sci-fi setting. 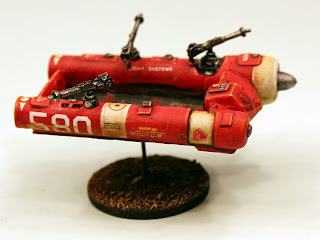 This code contains one high quality clean grey tone polyurethane resin casting of the Laserburn Law Officer Air Raft along with three separate white metal guns for the side mounts. Dimensions of this vehicle are approx 50mm in length and 30mm wide. Supplied unpainted and unassembled without a base or flight stand. A classic Laserburn model now re-mastered and produced in resin. 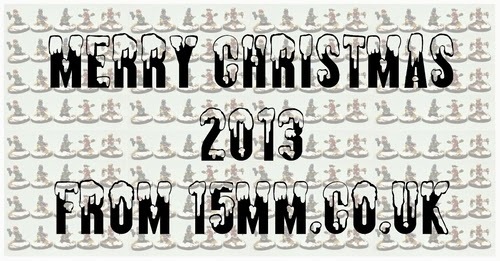 Quick posting on what is coming that is unique and special to this festive season on 15mm.co.uk. The concept sketches you can see in the rough here gives more than a clue. Its....evil snowmen! These will be coming real soon and will be shown here on the blog but for the moment I will answer the question of why. Why make 15mm snowmen at all whether evil or benign? Well for several reasons. 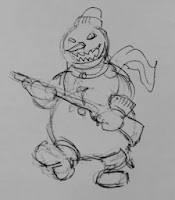 Firstly 15mm.co.uk has had more than two hundred requests for killer snowmen since 2010 and that is enough to consider any subject for sculpting. Secondly I wanted something rather different than the endless 'cookie cutter' releases and kickstarters that are all over the globe just now. Something fun that could be used in many settings and systems so Snowmen fitted that. Thirdly I am always having ideas and one that I had back in the summer of this year fitted this concept. A range that is festive only. That is a range beginning with one or two codes that would only be available for a limited time each year when they made sense to wargamers. Snowmen at Christmas that vanished in January to return in late November with more miniatures to join them. After all 15mm.co.uk does a lot of original things, USEME, SHM to name but two. I want a candy cane button on my work shirt for this one too. Sam Croes took some time out of his schedule and agreed to do the design work for this. More details upon release...wait until you see these little blighters! Maybe even a USEME scenario for them too. I have just added four information pages to the blog. 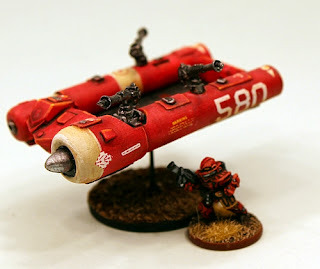 I took the idea from the Ion Age blog to give casual and new wargamers to 15mm.co.uk a bit of information on their chosen aspect of what we supply to the wargaming public. One page per part of the website. As follows. Click on the links here or along the top bar of the blog to read the content therein. 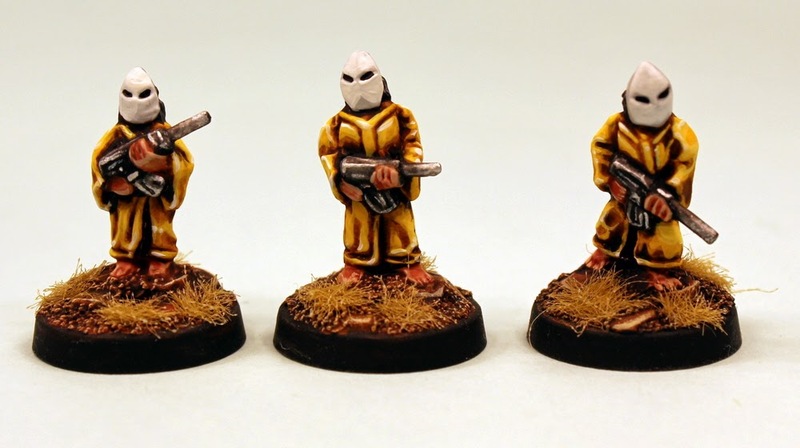 During this year 15mm.co.uk released more packs into the HOF Range and among these were an expansion to the Cultists. 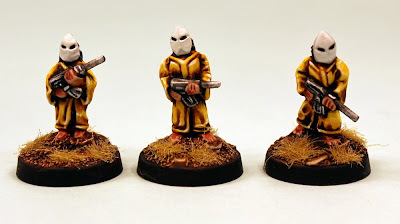 Cultists have been popular for USEME games and other rule systems set in the modern, near future or post apocalypse genres. The most striking of the Cultists packs to me was HOF90 Cultist Holy Guard which have a rather scary and imposing look. Here are the stock image from the website for these fellows. In red and white they look the part but some have said that they might look rather different in another hue. 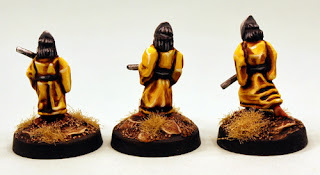 Sam Croes has some of these miniatures in his personal collection so I snatched them for a quick picture to show you what they look like painted with Pebeo Acrylics in shades of yellow. 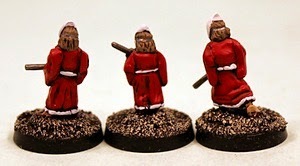 By changing the colour of the robes and adding more depth you do get a totally different look to the miniatures. I can see them in a place like California, the 'Sunset Strip Seekers of Truth' might be their name. Or the '99 Cones' if you are British and remember those ice-creams on the beach..yellow cone, white ice-cream. Dark and intense or light and humorous. Depends on your view of Cultists in wargaming. You can find HOF90 on the 15mm.co.uk website in the HOF 15mm Science Fiction section.